Metropolitan has designed a line of floater frames with cradles for photographers who mount their photos on substrates such as dibond or sentra and frame them without glass or acrylic. 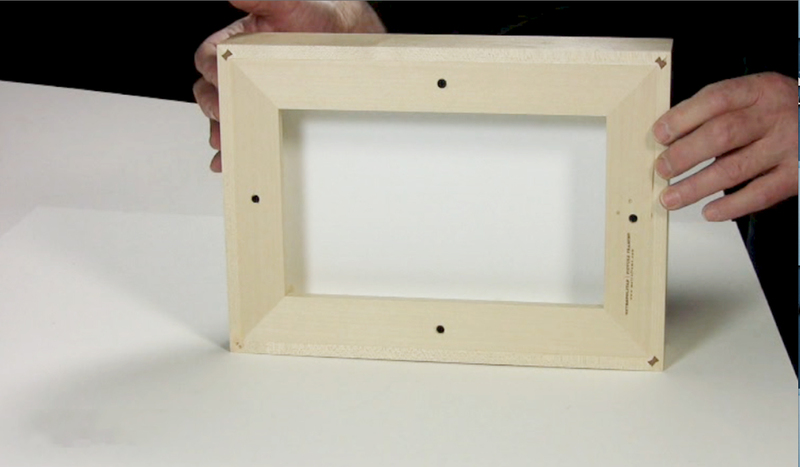 These floater frames with cradles are also used by painters who work on canvas, wood, or gessoboard panels. Assemble the tools and supplies. 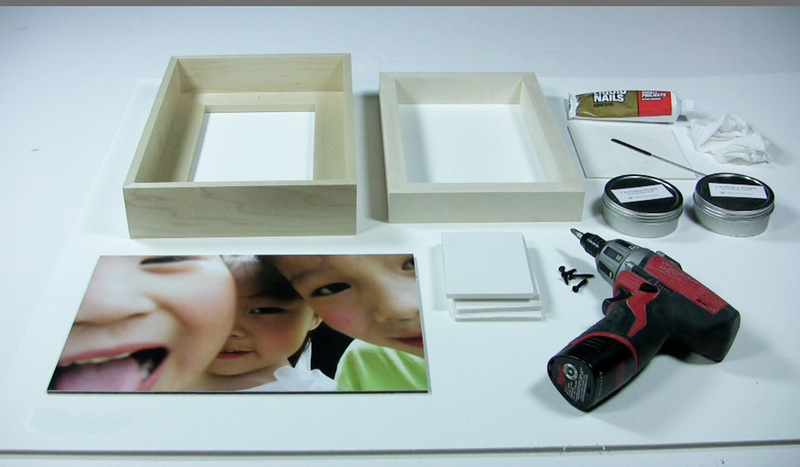 They include: the frame, cradle, glue, rag, micro spatula, weights, spacers to act as a barrier for the weights as well as to center the artwork, drill, screws, and the photograph mounted on a panel. 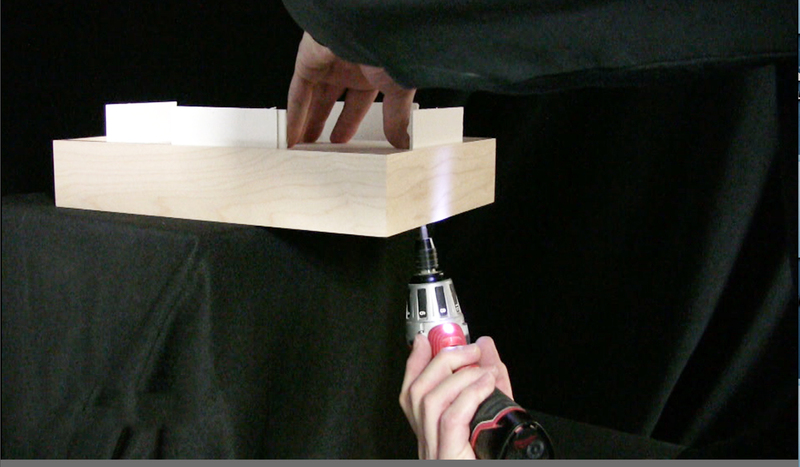 The type of panel being adhered will determine the type of glue to use. This photograph was mounted on dibond are we used liquid nails which is available at hardware stores. If you are using any other substrate be sure an read the label to determine if it is applicable. 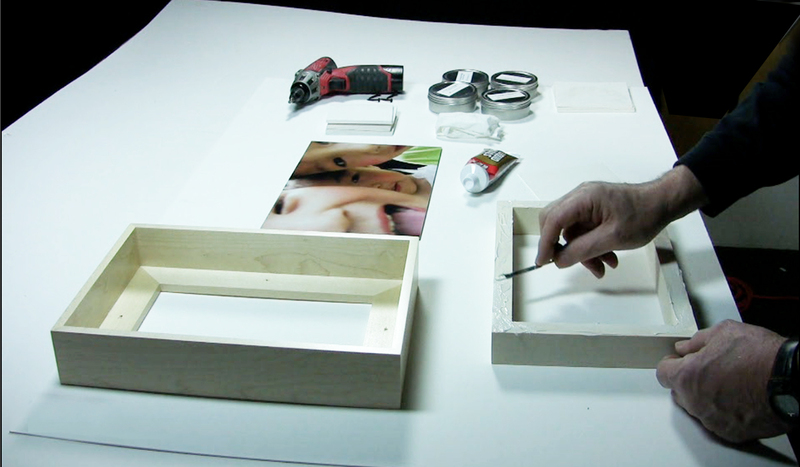 Apply the glue on the top of the cradle spreading it over the entire surface.After the glue is applied, position the mounted photo on the cradle. Another suggestion for short term exhibitions is to use velcro. It is not recommended for permanent exhibits because it eventually loses its bond. 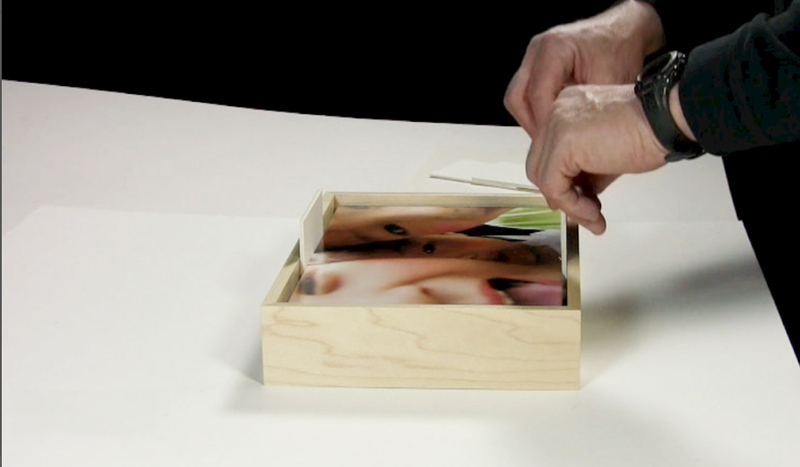 Place mat or foamboard scraps on top of the photograph. 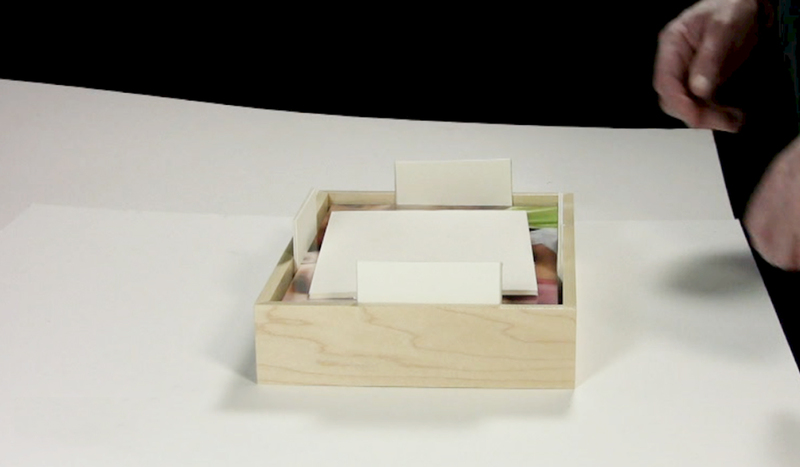 Place weights on top of the mat or foamboard scraps. Check the instructions on the adhesive for drying time. It is normally 4 – 8 hours or overnight. 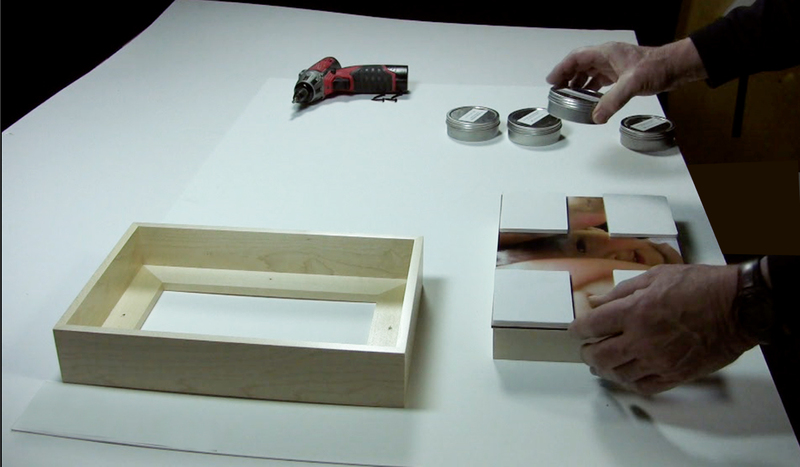 Remove the weights and the scrap boards from the photograph. 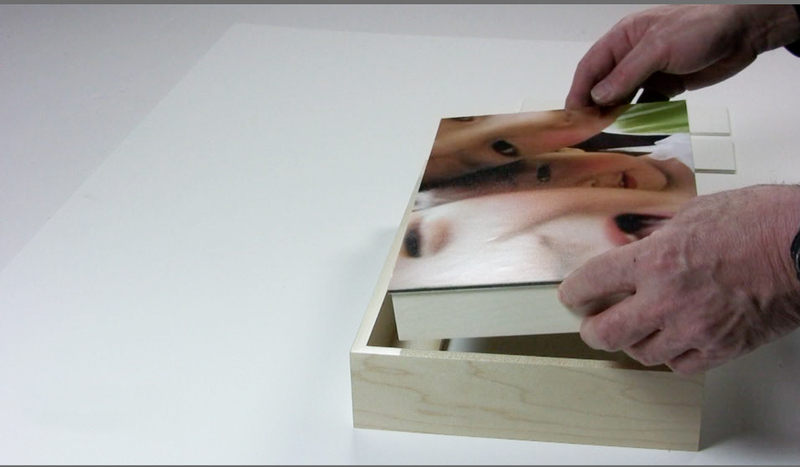 Place the photograph on the cradle in the float frame. 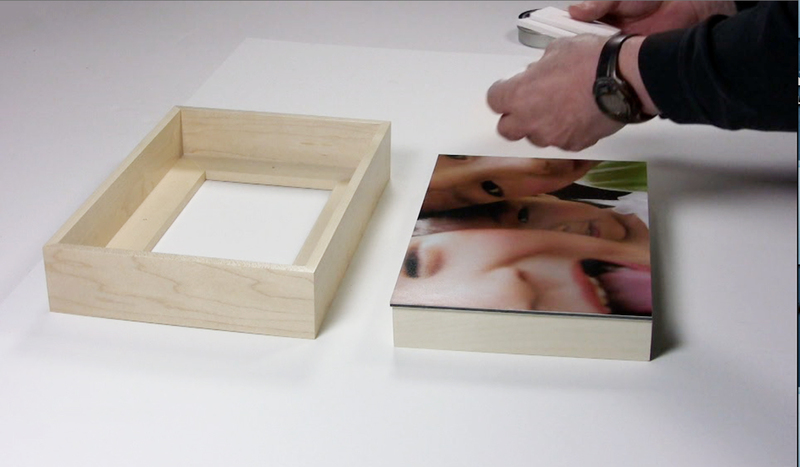 Place the spacers between the frame and the photograph to center it before you drill in the screws. 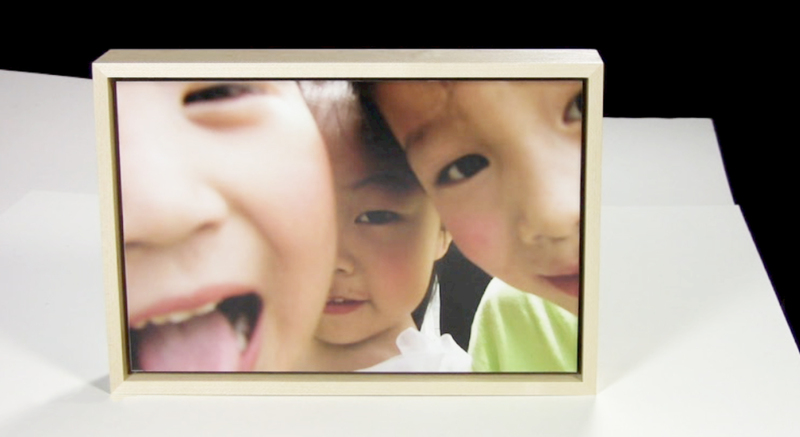 We use foam board and mat board to center the photograph. 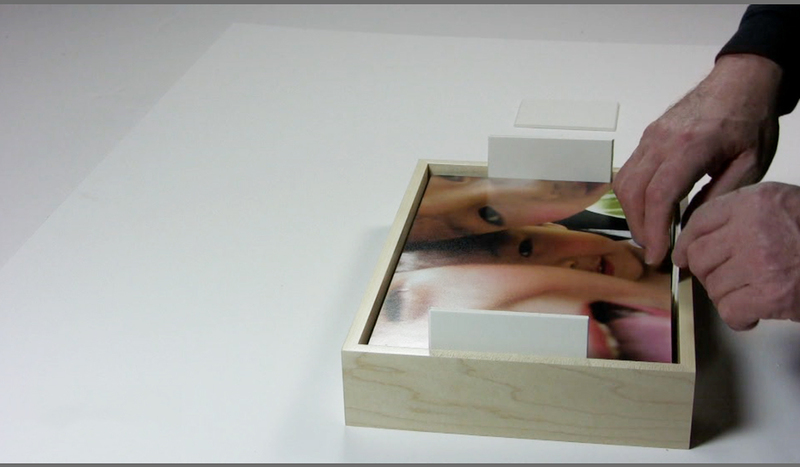 Place a scrap board on top of the photograph to protect the face of the photograph before you start drilling in the screws. 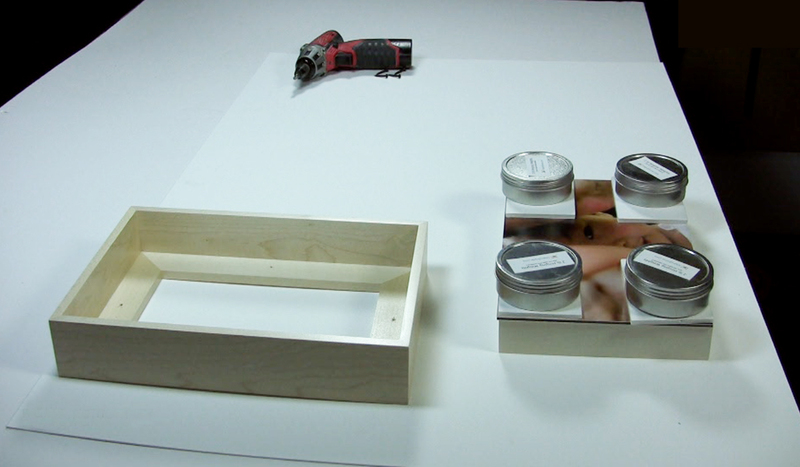 Once the artwork is centered, move it slightly off the table so you can drill in the screws from behind. Drill in the screws on all four sides of the frame.